PLEASE NOTE the NEW times of Morning and Evening Prayers now from 7.30am and 5.30pm. Holy Hour & Benediction will be as usual on Wednesday, followed by Fish Supper and Conference. 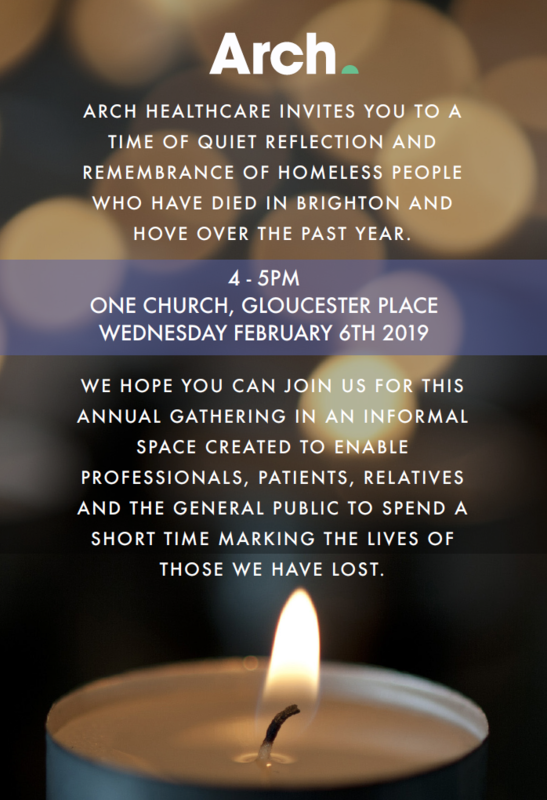 Act of Remembrance this Wednesday from 4pm at One Church, Gloucester Place a time for frontline workers and volunteers to remember those homeless who passed away in the past year. All welcome. Faith Hate Consultation this Thursday from 5pm at Brighton Town Hall an opportunity for those affected by hate crime because of their faith to share their experiences. No Evening Prayers today. Clive Reed RIP Tuesday 12th February, Requiem Mass at 0830 in chapel, Funeral 12pm at Downs Crematorium Chapel, wake from 2pm at East Brighton Golf Course.